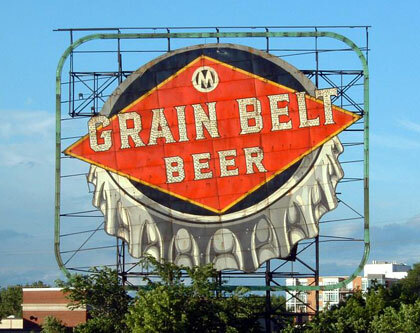 The Grain Belt beer sign that has been a Minneapolis landmark since the 1940s but dark for almost 20 years apparently may soon be lit again. August Schell Brewing Co., which acquired the Grain Belt brand in 2002, announced it will buy the sign and the Nicollet Island land it sits on and donate it to the Preservation Alliance of Minnesota. The organization plans to raise money to light and maintain the sign. “People love the sign,” Schell president Ted Marti said. Schell, located in New Ulm, is the second oldest family owned brewery in the country. Minneapolis Brewing Co., which brewed Grain Belt until selling the grand to Schell, originally leased the sign from the Eastman Family. It was moved to its current location on the Mississippi river in 1950 after first sitting atop the Marigold Ballroom. The Eastman Family Trust currently owns the sign.